Every time Denver Broncos QB Peyton Manning yelled out “Omaha!” in Sunday 26-16 victory over the New England Patriots in the AFC Championship, $800 will be donated to Manning’s Peyback Foundation. Eight Omaha-based companies pledged to donate $800 to Manning’s foundation for at-risk kids. “Omaha” was trending on Twitter after Manning shouted it 44 times against the San Diego Chargers in last Sunday’s NFL divisional round playoff game. Manning reportedly barked “Omaha” 31 times on Sunday against the Patriots, earning $24,800 for the Peyback Foundation. More important, the Broncos are heading back to Super Bowl XLVIII on Sunday, Feb. 2 at MetLife Stadium in East Rutherford, N.J., to play the NFC champs, the Seattle Seahawks. It will be the Broncos’ seventh trip to the Super Bowl and their first since a 34-19 victory over Atlanta in Super Bowl XXXIII on Jan. 31, 1999 in Miami. More love to Manning came from Omaha’s Henry Doorly Zoo and Aquarium, which named one of its recently born penguin chicks Peyton. Broncos wide receiver Eric Decker and his country star (pregnant) wife, Jessie James Decker — arguably the NFL’s cutest couple — are featured in an eight picture spread in the February edition of GQ magazine and on www.gq.com. The couple are snapped in provocative poses – cooking together (at least licking the bowl), canoodling in bed, bubble-bathing, “working out” in the home gym, horsing around among memorabilia — with Decker clad in distressed jeans (how distressed can they be when they fetch up to $700 a pair) and James in her unmentionables. The point of the article – other than to feature titillating photos of a ridiculously attractive couple – is a denim discussion. 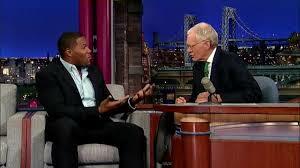 Late-night talk show host David Letterman used his national forum to ask the question on many football fans’ minds when former football great, talk-show host and Fox-TV NFL analyst Michael Strahan guested on the show Tuesday. 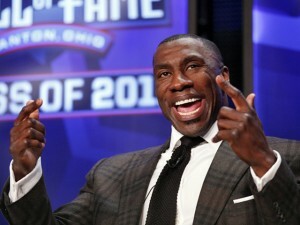 “Because (he) likes the steaks,” Strahan said. Letterman also questioned why Manning moves around so much prior to the snap. 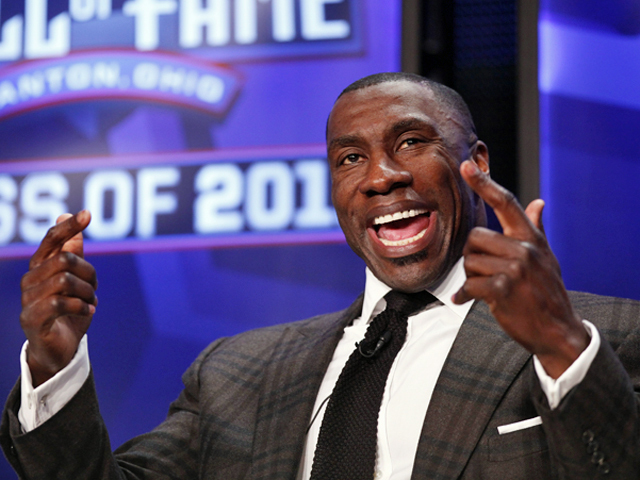 Broncos former tight end and 2011 Pro Football Hall of Famer turned TV NFL analyst Shannon Sharpe will be the keynote speaker at The Journey, the Junior League of Denver’s fundraiser to support literacy efforts in the Denver metro area, on March 13. A lesser known fact about Sharpe is his dedication to literacy and education. It wasn’t until his early teen years that he learned to read, guided by his grandmother’s influence. All proceeds support the Junior League of Denver’s focus, which is changing lives through literacy in the Denver metro area. Funds raised enable the organization to provide financial and volunteer support to its community partners. The March 13 event starts with cocktails at 6 p.m., followed by Sharpe’s speech and dinner at the Hyatt Regency Denver Tech Center. Tickets are $125 per person. For more information and to purchase tickets, go to www.jld.org or call 303-692-0270. 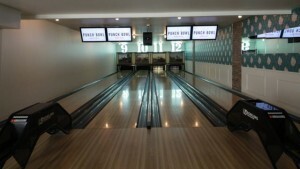 Thrillist.com, a digital lifestyle website for men with local features on 21 cities (including Denver), rated its top 10 swankiest, tastiest, booziest bowling alleys in America and our fair city’s Punch Bowl Social was named to the list. 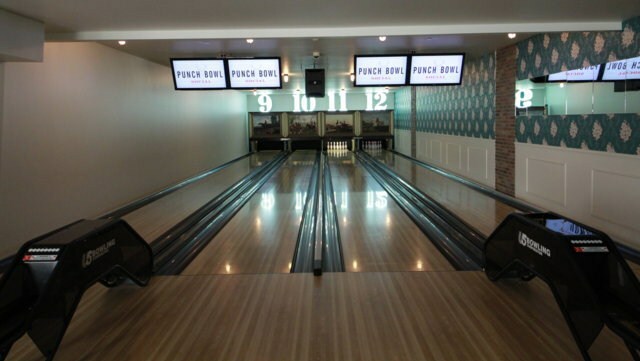 Punch Bowl Social, located in the hot SoBo district, is a hip eater-tainment establishment at 65 Broadway and offers great eats, drinks, bowling and more. Denver Public Library is coming to you … on a specially made tricycle. DPL has developed a new service — DPL Connect — a pedal-powered mobile library and wi-fi hotspot. 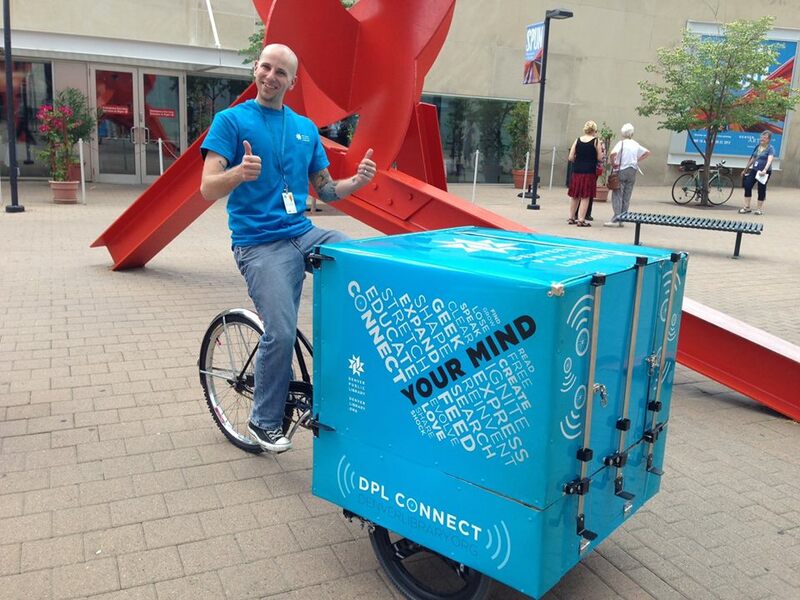 DPL Connect launches its inaugural ride on Wednesday, August 7 on the 16th Street Mall. The trike provides free wireless internet access and will be stocked with a rotating collection of books tailored to the bike’s location (i.e. cookbooks and urban farming for farmer’s markets, bike repair and Denver maps for bike trails, etc). The librarian riding DPL Connect also can provide traditional library services, including help with digital downloads (eBooks, audio books, and digital magazines), reading suggestions, assisting with research and registering new customers for library cards. You’ve probably already seen the Mannings — Denver Broncos QB Peyton and his younger brother, the Giants’ Eli — in the “rap video” promoting DirecTV’s Sunday Ticket for NFL game coverage. 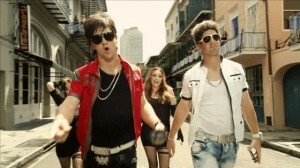 But just in case you were under a rock on Tuesday, here’s the link the Manning brothers’ “Football On Your Phone” rap. 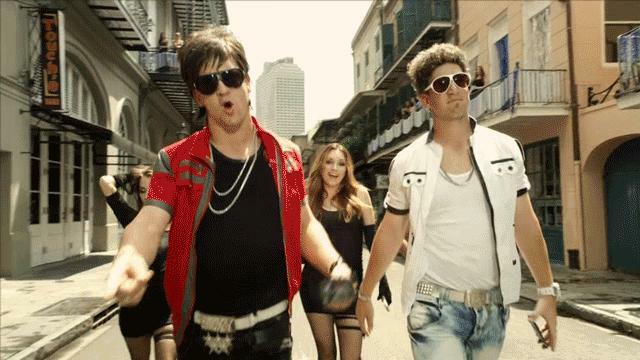 Personally, I think Eli got a lot of the better lines and the Mannings’ dad, Archie, makes a cameo on the video that was filmed in New Orleans, the Mannings’ hometown. One Trader Joe’s coming to Colorado was fantastic news for this California girl. Two put me over the moon, especially since it was announced No. 2 would be located on 8th and Colorado near my Capitol Hill abode. Now, the California-based specialty grocery store I grew up on is adding a third store in Greenwood Village. The Denver Post reported Trader Joe’s has signed a lease at the Cherry Hills Marketplace at 5901 S. University Blvd. on the corner of East Orchard Road.The first two stores — in Denver and on Boulder’s Twenty Ninth Street mall are scheduled to open in 2014 as will the Greenwood Village store. Chipotle Mexican Grill is already on every corner in Denver – or so it seems – but now the Colorado-bred chain is participating in National Farmers’ Market Week. Chipotle will conduct salsa-making demonstrations, give scavenger-hunt activity books to the kids and encourage shoppers to buy locally from their community farmers’ markets with $10 currency tokens that are redeemable for food at that market location). Shoppers also will receive buy-one-get-one deals they can redeem at any Colorado Chipotle location. The coupon is valid for a burrito, burrito bowl or order of tacos. Here are the markets Chipotle will visit this week (they’ve already hit the Broomfield and Lowry Farmers Markets): Aspen Grove Farmers Market, Wednesday, August 7; Highland Farmers Market, Southwest Plaza Farmers Market, Colorado Farm and Art Market and Larimer County Farmers Market, all on Saturday, August 10. So the Stray Cats aren’t going to be here, but most of the rest of the rock ‘n’ roll world wil be during the Denver Day of Rock, a free day of music on May 26 when 25 bands take to five stages for Concerts for Kids, the third annual fundraiser honoring children’s charities from 2:30 to 9:30 p.m. along the 16th Street Mall. Included in this year’s line-up are TOTO, Toad the Wet Sprocket, The Samples, Fishbone, Something Underground, John Common and Blinding Flashes of Light, Go Home Joe, Jeff Brinkman, I-Tones Brass Band, Offbeat Revolution, Lee Avenue, Alicia Witt, Tracksuit Wedding, Tatanka, Smack Thompson, Strange Americans, Jet Edison, WhiteWater Ramble, Amanda Capper, match supreme txt femmes Air Dubai, Dwayne Dopsie & The Zydeco Heallraisers, The Railbenders and The Peacemakers. In addition, the Downtown Denver Arts Festival will take place featuring 125 Colorado artists who will exhibit and sell their wares from May 25-28. “Denver’s music and arts scene come together with Denver Day of Rock on 16th Street and the Downtown Denver Arts Festival, kicking off the summer outdoor festival season in Mile High style,” said Richard Scharf, president and CEO of Visit Denver. For a full list of concerts and events, go to visitdenver.org. Congrats to Racines the fab eatery that celebrated its eighth year in the second location on Sixth and Sherman across from Denver’s 7. Denver gadfly and all around good guy Tim Jackson, chief of the Colorado Automobile Dealers Association, sent Racines owners Lee Goodfriend and David Racine a bountiful bouquet, which reminded Goodfriend of the anniversary date. D Bar, the fabulous dessert joint next to Strings on 17th and Humboldt, is opening a second spot next to Denver-based breakfast place Snooze in San Diego. D Bar, owned by husband and wife team Keegan Gerhard (of Food Network fame) and Lisa Bailey, celebrates with a pre-opening party from 7 to 10 p.m. May 23 at 3930 Fifth Avenue, San Diego. 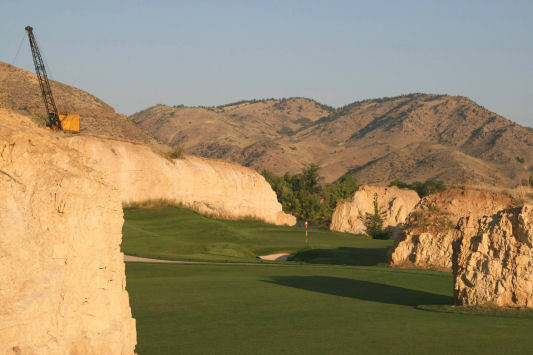 The Four Seasons Hotel new jordan Denver opens Level 3, the poolside bar, beginning Thursday and continuing from 5 to 10 p.m. Thursdays throughout the summer. Opening night will be a fundraiser for the American Cancer Society. My Facebook page has moved. Be sure to like it! Also, here’s where you go to get my column emailed to you Mondays, Wednesdays and Fridays. My email: penny@blacktie-llc.com.